You Don't Want To Miss This Video!! Scheid Diesel Service Co., Inc. is your anything diesel full service center and fuel injection shop. With three locations to service any of your diesel needs, Scheid Diesel promises to provide a valuable solution for your problem, with the quickest turn around time to get you back on the road. Scheid Diesel only uses the best quality and parts available.We are a complete fuel injection repair shop rebuilding any diesel fuel injection pump, injectors, turbos, able to make fuel lines and check and clean gas injectors. We are authorized in the following lines and perform warranty repairs on the following manufactures: Stanadyne, Robert Bosch, Delphi, Ambac, Denso, Zexel and Yanmar fuel systems and Garrett Turbos and Borg Warner Turbos. Air to Air intercoolers, Denso starters, Delphi glow plugs and relays are a few items you may not realize we have available. 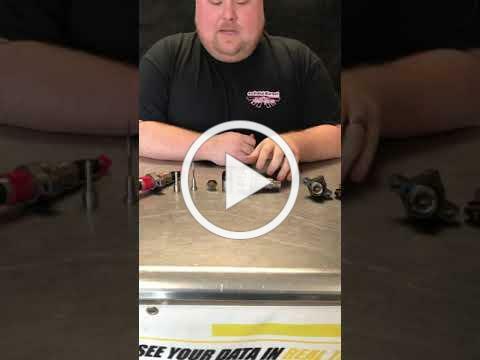 Lets Talk Injectors With Gregg from Scheid Diesel Service! Don't forget to get your Stanadyne Performance Formula Fuel Additive. Currently, if you buy now 5 pints, you'll get 1 FREE! Each bottle treats 60 gallons. Visit our website, or, call one our shops for more information. Note: When the temperature is in the teens, use at double strength.